Comfort. Peace. Love. What more could anyone ask for when it comes to caring for aging parents? 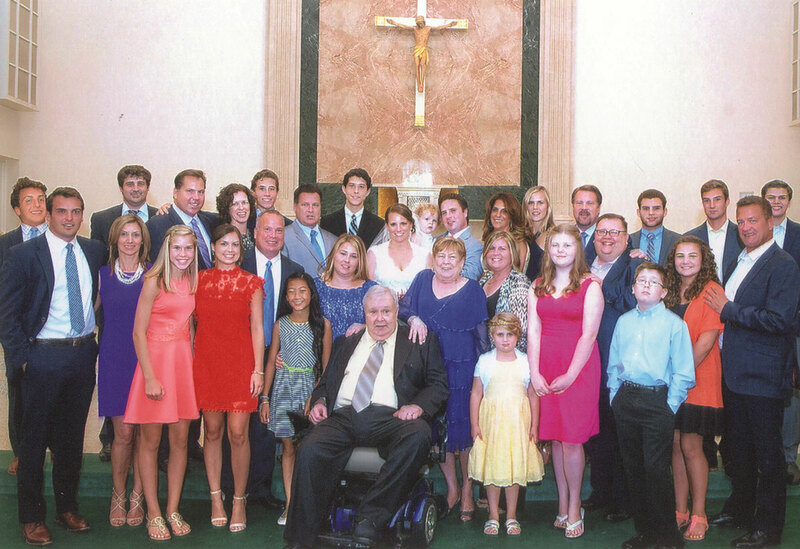 Beth Ann Hirschmann, her seven siblings and their extended family experienced all of this and more when their parents, residents at Pine Run Retirement Community, suddenly experienced dual health crises. James and Betty Hirschmann moved to Pine Run five years ago, when both were in their mid-70s and in good health. Pine Run was James’ preferred choice, because his doctors were part of the Doylestown Health system. He wanted to remain with his physicians and have access to the medical capabilities of Doylestown Hospital. That turned out to be a very wise decision. Unfortunately, Betty’s crisis soon became worse. Shortly after her hip was healed, Betty was diagnosed with cancer. She began a two-month journey of tests, procedures, changing symptoms, emergency care, hospitalization, and ultimately hospice as her condition worsened. The Hirschmann family began a journey of their own as they navigated a myriad of concerns related to both parents. Beth notes that it was the respect and love displayed for each of her parents that impressed her the most. “The doctors, nurses and staff sacrificed for them, putting in long hours and going above and beyond to help them and to ease our concerns,” she said. Betty Hirschmann lost her battle with cancer in June 2016. James Hirschmann has since moved back into independent living with the aid of companion services. The family recalls their two-month crisis as a time that showed them what it means to have a village of support.